While the winter of 2015-16 dumped more snow on Black Butte than in the previous few years, it still fell short of predictions. Photo by Anna Jaffrey. Our May 2016 Spring Work Party was colder than normal. 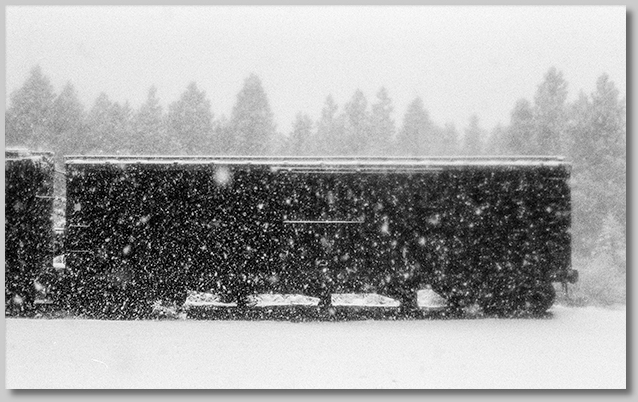 It even snowed on Friday morning! 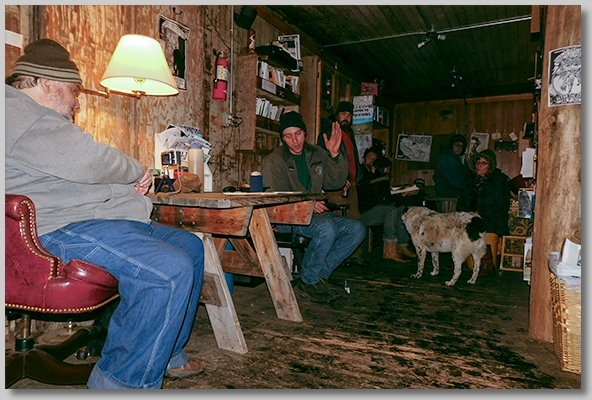 That evening Brody hosted a CD release party in our reefer for Volume 2 of the BBCRC sponsored collection of country hobo songs, "Who Said I was a Bum?" 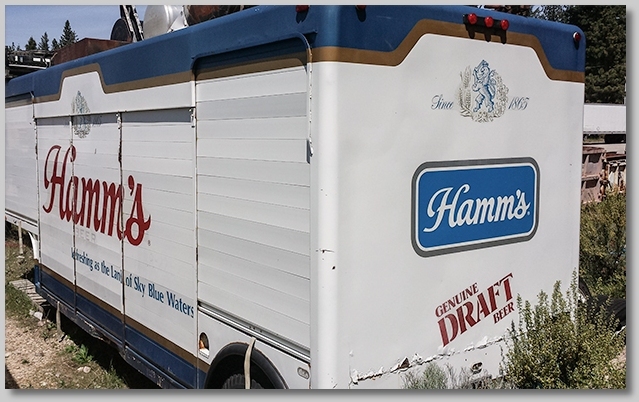 Earlier in the Spring we located a classic Hamm's Beer trailer tucked away on a truck lot just a few miles away from the BBCRC. We soon negotiated its sale and move to the BBCRC. 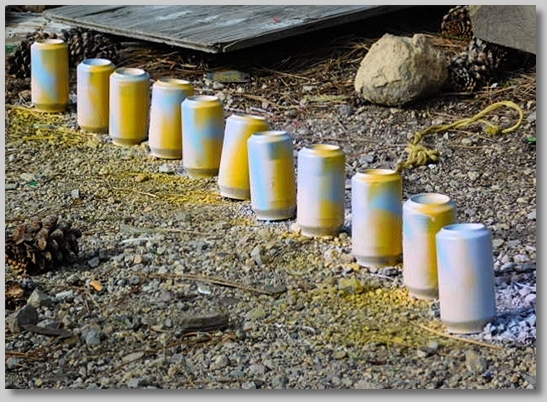 On Easter Sunday the Easter Beer Can Bunny hides decorated Easter Beers all over the compound! Months later some were still in hiding. 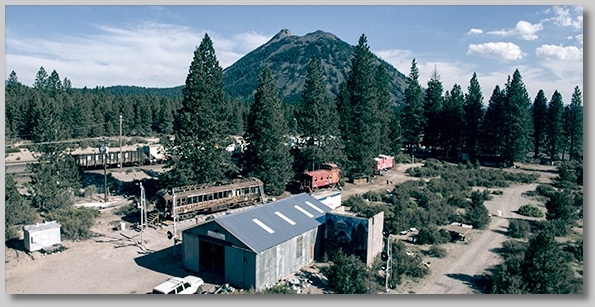 At the end of April, our newest railcar, Southern Pacific #109, the "Shasta" arrived at Black Butte. 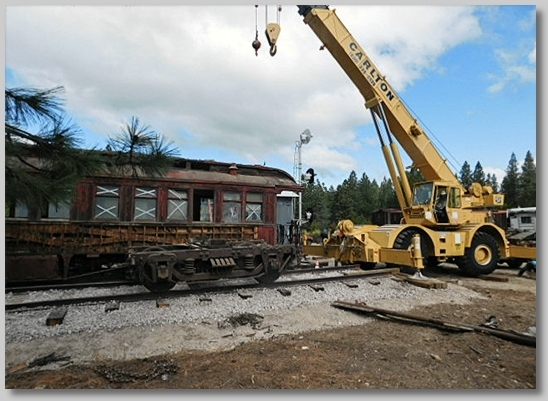 For more photos and info on this car see the SP Business Car #109 page. During our Spring Work Party Ryan Wilkerson brought his drone up to Black Butte and took some great photos and videos of our compound.